HTC 10 came out in the market with not so overpowering features and to some extent, it was not able to compete with other 5.5-inch of the market. And because of no remarkable and up to the mark features it was not recommended broadly. 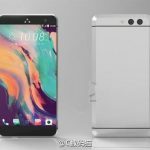 After not observing much success at the end of HTC10, the company has finally decided to launch its next flagship brand HTC 11 which will be able to stand out with all its features. HTC 11 will feature SnapDragon 835 processor, 6GB of RAM and 128GB of storage. It has a Quad-HD screen and is running Android Nougat with HTC Sense 9.0. The Android Nougat possesses split-screen apps, support for the Vulkan graphics API, seamless system updates, richer drop-down menu, impressive gaming power as a result of Vulkan support, and long-awaited app multi-tasking interactions. The camera is expected to be 12Mp at the back, and an 8Mp selfie camera at the front. The screen is expected to be a 5.5in 1440×2560 panel and the battery is also expected to be larger, at 3,700mAh. A new Sense Touch feature will allow controlling the phone by swiping and tapping its metal frame. Regarding the design of the phone, the company is greatly focusing on it as providing a unique and new design that too for a 5.5 inch screen is not an easy job. To provide a better battery life is also on the wish list of upcoming model and the smartphone is expected to pass one full day of hard use without charging and will support Quick Charge 4.0. Great audio quality will also be an essential feature of this smartphone.